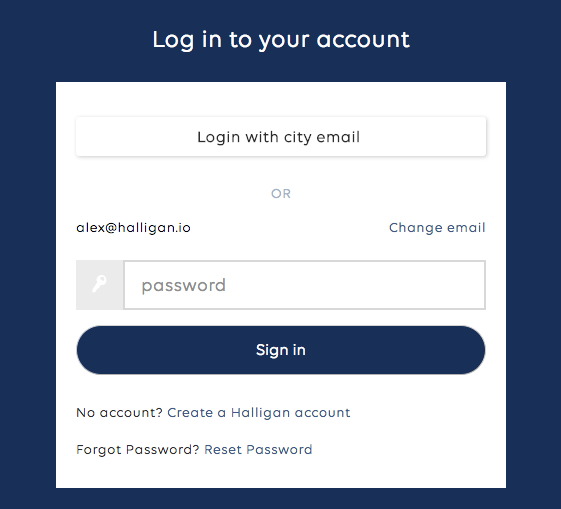 It can be advantageous for easy signup for users to log in to applications like Halligan with the same email and password they user for other accounts such as email. Setting up SAML will help do that. Note: Users cannot be provisioned via SAML, they must already have a user account with their email address created inside of Halligan to use it. 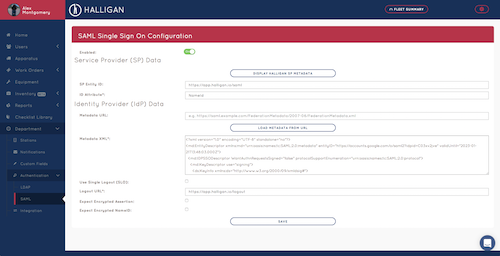 To Setup SAML you should navigate to https://app.halligan.io/app/department/saml-config. From there you can fill out the form. There should be notes in the form to guide you through setup. You can pull the Identity Provider metadata from a URL, or manually enter the XML. When a user is going through signup and the email address they enter is associated with your department that has SAML setup, they will see an additional button to Login with city email. They will still have the option to login with a password. This is to ensure admins don't get locked out and give users flexibility.